COURTESY CALL. (L-R) Love of Country Ambassador, Ralph Lauren Asuncion; Asian Journal Event Director, Annie Nepomuceno; City of Carson Mayor Albert Robles; film actress Hilda Koronel; Asian Journal Community Relations Director Trinity Foliente; FACC-SLAA President Janice Jimenez; and COFACC President Gerry Palon. THE Travel, Trade and Consumer Roadshow (TTC) is building up steam as the Asian Journal representatives make a courtesy call to the Mayor of the City of Carson, Albert Robles. 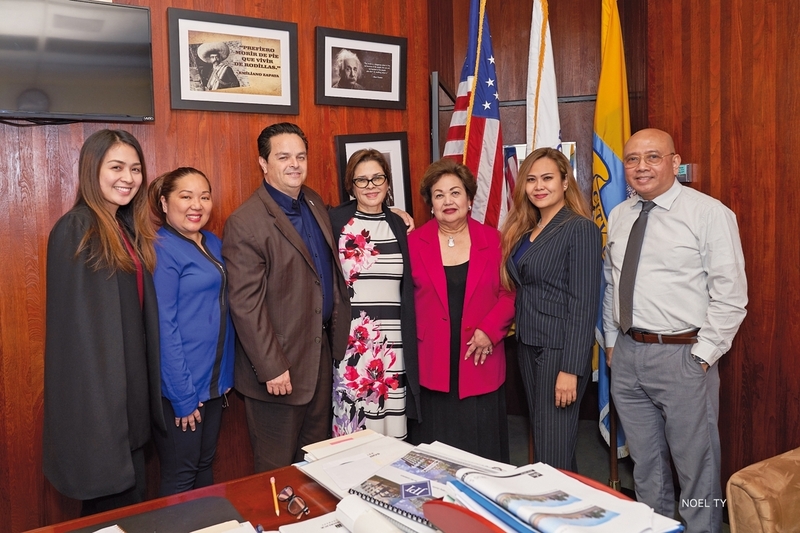 The leading officers of Filipino Chambers of Commerce lend their support, namely newly-elected South Bay President Janice Jimenez (FACC-SLAA) and Coalition of Filipino American Chambers of Commerce President Gerry Palon. TTC comes back for its second year, following a very successful first run in 2018 at the SouthBay Pavilion where over 30 exhibitor booth, from locals to Philippine imports, enjoyed exposure to around 30,000 mall goers that August weekend. Philippine manufacturers and real estate, local businesses and mainstream services like Spectrum, Western Union and recruiters from the National Guard, and organizations such as the National Asian American Coalition were among the booths. Filipino food trucks, Fil-Am performers and business seminar resource persons had simultaneous presentations in the vicinity of the mall. 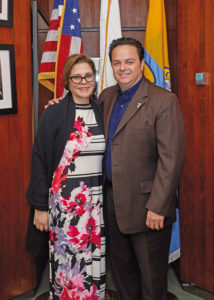 Mayor Robles was on hand for the 2018 ribbon-cutting. The courtesy call sought to expand the publicity to local businesses and to encourage more businesses to participate. AJ Event Director Annie Nepomuceno brought the Mayor up to date about TTC 2019, and Community Relations Director Trinity Foliente emphasized the participation of the cultural pageant, Love of Country Ambassadors. 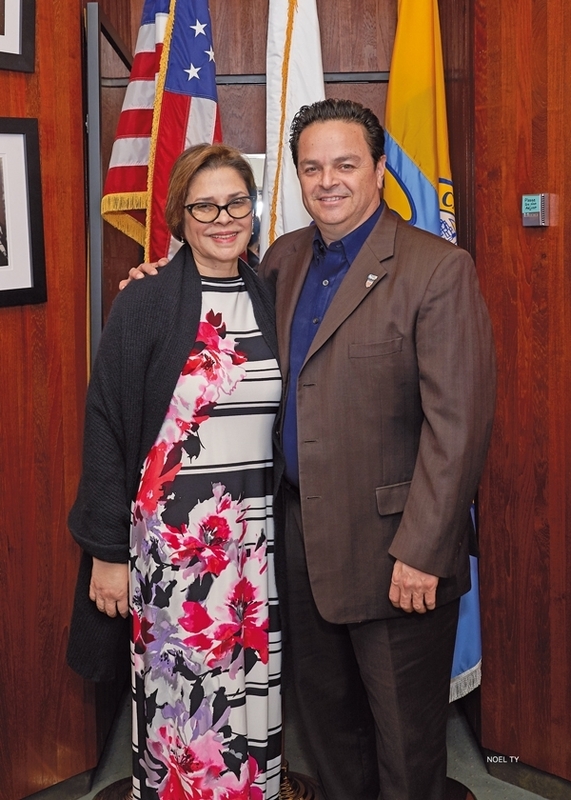 Mayor Robles, who recognizes the breadth of the Filipino American population in his city, is a film buff and fan of renown multi-awarded film actress Hilda Koronel. Ms. Koronel, who now resides in the U.S., had appeared in landmark Filipino films. The Mayor and his staff are enthusiastic and supportive of the upcoming TTC in August, which is part of a three-city Roadshow that will head to San Francisco and New York as well. AJ representatives shared that more regional delegations from the Philippines hope to be represented in 2019. In 2018, E.C Ferrer Customs Broker facilitated the arrival of a delegation from the province of Pangasinan. The mayor also received reports on the active Fil-Am Chambers of Commerce, whose main focus is enabling its members to prosper, hence their support for TTC. For more information, please visit https://traveltradeconsumer.com/. That mayor is crooked. He made the city of Carson hell. We are now living in hell. People in Carson don’t like that corrupt mayor of Carson.